"...light, colours, patterns and textures that combine to create a sense of place." Landscape and architecture are the fundamental source of Kathryn Moore’s work; the light, colours, patterns and textures that combine to create a sense of place. As a painter, and a mixed media artist, Kathryn explores both traditional and unconventional materials and applies these in inventive ways. Her rural upbringing taught her skills in crafts such as spinning, weaving, basketry and pottery, and importantly, an appreciation for the natural world. Her works predominantly use materials that are readily available – true to the history of makers. 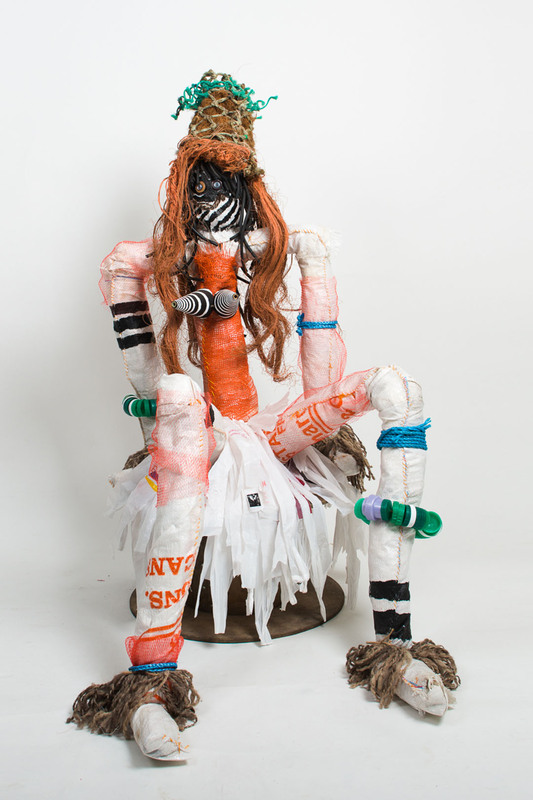 Kathryn often uses combinations of manufactured found objects fashioned in conventional methods to create functional and visual art pieces, the origin of the materials being taken out of context and transformed. Kathryn studied Fine Art at Bristol and has travelled extensively drawing on her experiences and observations to produce her diverse work. She moved to Peterborough in 1992, where she collaborated with artist Sue Shields in establishing the Peterborough Artists open Studios in 2000. Kathryn teaches in Adult Education, and is also an accomplished violinist, music continuing to play an important role throughout her life.